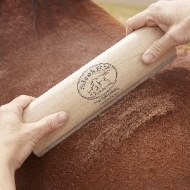 The Save Edge hoof rasp has been the industry standard for many years. It is famous because of unmatched sharpness and longevity. 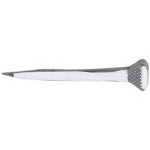 Delta Nails a widely popular nail in North America for all types of horse applications. 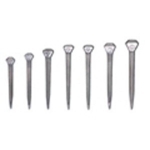 Capewell offers 26 nail variants, each made in USA and backed by Capewell's 100% satisfaction guarantee. 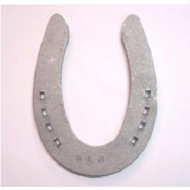 Farriers who have used Capewell Horsenails for years appreciate the consistency of our precision engineering. 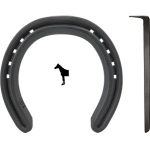 The Classic family shows how the Royal Kerckhaert Horseshoe Company meets the demand of farriers worldwide. 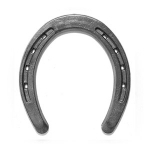 The Classic Star concave section is popular with most English speaking countries and is the established tradition and style of shoeing horses. Plain is a perennial favorite & America's basic flat creased horseshoe. This versatile shoe is designed for steady performance wherever you shoe. Punched for CH5 nails. 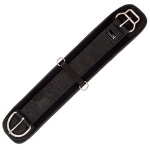 Easy to use double roller buckle makes tightening your girth quick and easy. Unlike a conventional cinch buckle, the two rollers allow the latigo strap to roll freely, giving the rider more leverage. Waffle weave durable PVC neoprene back. Strong nylon web top. 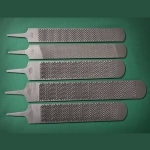 Heavy flat stainless steel buckle on off side with heavy stainless steel double roller buckle for easy tightening on near side.